Last year with the Neighbor’s Choice ballots we asked you to vote as to which beers we should bring back that we haven’t brewed in awhile. There was an overwhelming outcry for Fest. We here at ‘Gansett like to make good on our promises. It’s been 3 years since we last brewed this tasty Lager, but it’s making its way back to shelves now. So please, stop yelling at us. 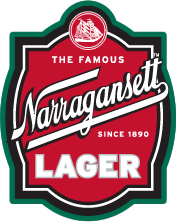 The History: The Narragansett Brewery will always be known as the home to thousands of colorful stories over the course of its incredible history. 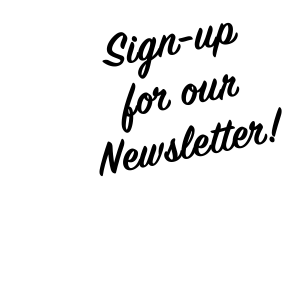 At least a small truckload of those stories revolve around the Oktoberfest celebrations that would take place on the brewery grounds every fall. Whether it was a slightly out-of-control party on the roof, assorted parking disasters, or just plain old good times eating bratwurst and drinking Gansett Oktoberfest Beer in green velour tyrolean hats & lederhosen, the good times always rolled. And the statue of King Gambrinus, the Patron Saint of Beer, always kept a watchful eye on the festivities at the brewery. 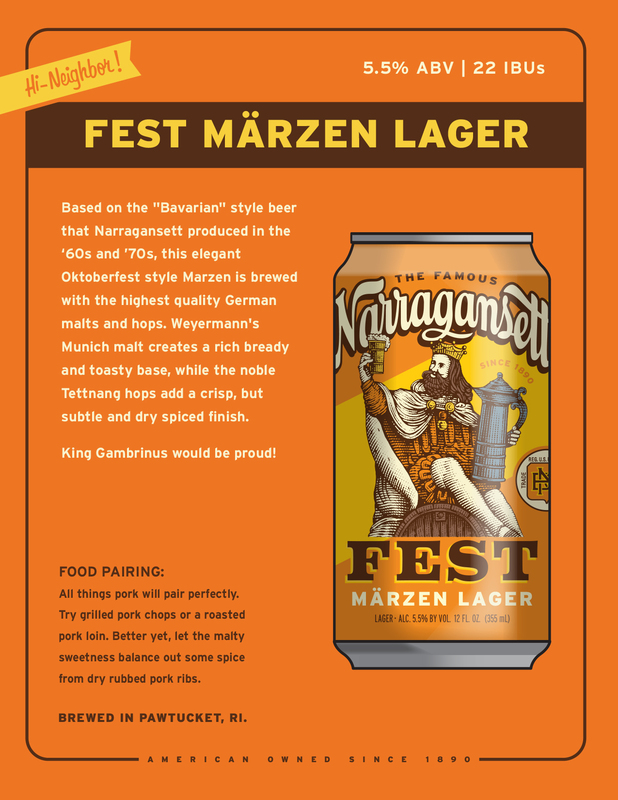 So it is fitting that his image graces the label of Gansett Fest as a tribute to both our brewing heritage and the Oktoberfest celebrations of days gone by.